The much anticipated Airspy HF+ has just been released for sale. The cost is $199 USD plus shipping from the manufacturer iTead in China which costs about $6 for a registered air mail parcel or $19 for DHL express delivery to the USA. There was a coupon available via this tweet, but it ran out within hours. The HF+ is also available for preorder for US/Canada customers over at the airspy.us reseller. Currently there is a last chance $50 coupon available for US/Canada residents purchasing from airspy.us by using the code provided in the link. We don't know how long that coupon will last though. Note that we believe that these are preorders, with shipping expected to commence in early December. 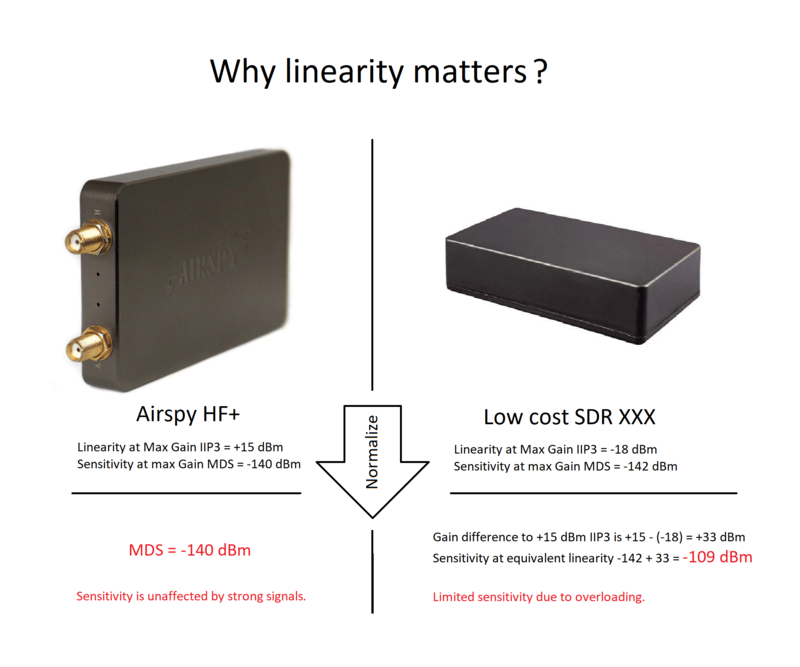 If you didn't know already the Airspy HF+ is a HF/VHF RX only SDR which has extremely high dynamic range and excellent sensitivity. The high dynamic range means that the SDR is unlikely to ever overload on strong signals meaning that no external filtering which can reduce SNR/sensitivity is required. The minimum discernible signal (MDS) measurements are also excellent meaning that sensitivity to weak signals is excellent too. With high dynamic range, great sensitivity and low cost combined, this SDR blows most of the current offerings out of the water by being able to 'just work' without the need to fiddle around with gain sliders, filters or attenuation. The only disadvantage to similar offerings like the Airspy R2/Mini or SDRplay is the reduced frequency range and bandwidth specs. On the HF+ the frequency range tops out at 260 MHz and the bandwidth at 680 kHz. 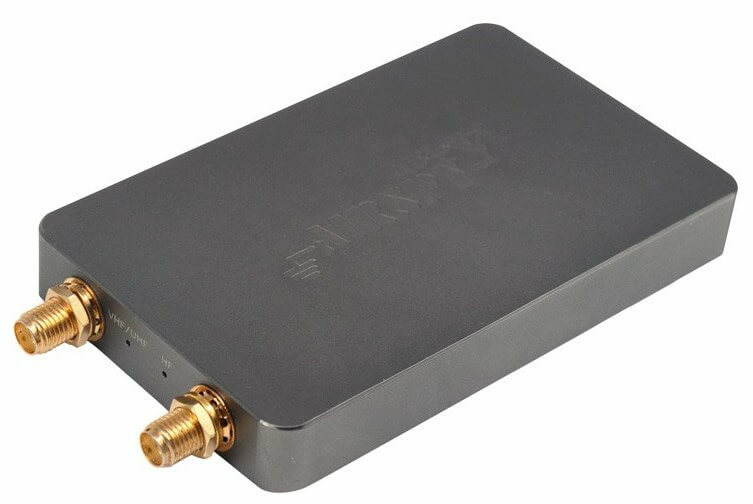 The Airspy R2/mini/SDRplay units have frequency ranges that go up to 1.8 - 2 GHz, and have bandwidths of up to 10 MHz. But this is an SDR designed for DXing or pulling in those weak signals, so wideband operation is not a major concern for that application. 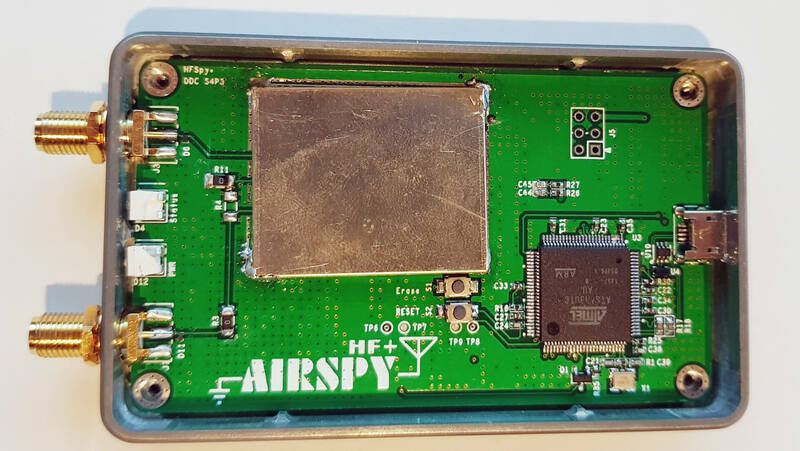 We have a review of a prototype version of the Airspy HF+ that we received earlier in the year available here. It's one of the most impressive low cost SDRs that we've seen to date. (We consider sub $300 USD as low cost, and $20 RTL-SDRs as ultra-low cost). You can also freely test some publicly available Airspy HF+ units that were provided to reviewers and developers over the internet. For these, who want to buy it from http://www.itead.cc – BEWARE! They are not shipping anything. My order got stuck in “processing” since Nov 28. And I do not expect it before Xmas already. And it does not make any sense to pay for a DHL shipment. You’re not getting it any sooner. People don’t seem to understand what the “Pre-” in pre-order means. Just don’t panic, Itead’s track record speaks for itself. It looks like this is the last nail in the coffin for SDRPlay and many other SDR designers. Well done! Anybody describe how much airspy HF+ power consum? There is an upper limit, USB 2.0 can provide a maximum of 5 [-0.60/+0.25] volts @ 0.5A (2.5 [2.2] Watts). and the block diagram, would lead to some guesses. The CPU looks to be a an Atmel SAM3U ( ATSAM3U1C – Cortex-M3 Microcontroller with 64KB Flash, HS USB, 100 Pin) which according to the datasheet has a “Maximum Peak Current during startup” of 300mA (1.8V) so that would be a maximum of 540 mW. The last part would be the tuner, which is an unknown, which due to its architecture is probably switching at some high rates which would probably make it comparable to other tuners at much higher frequencies. So I would spit ball a figure of 1.8W, but at the end of the day it is only a guess and there are more components on the board so it may well be higher. It is probably best to assume 2.2 Watts. Where can I buy a 《Paradigm Shift》sticker for my car? I hope airspy start a sale on Christmas. This sentence in the article confuses me: “The only disadvantage to similar offerings like the Airspy R2/Mini or SDRplay is the frequency range and bandwidth which top out at 260 MHz and 680 kHz respectively.” I listen to NDBs on my SDRPlay RSP1 between 300-400 kHz often. VLF is one of they main reasons I bought it, and it works well. Respectively refers to the frequency range and bandwidth of the HF+. I just updated that sentence so hopefully it’s a bit more clear now. Perfect. I read it a few times, so per Klaus maybe I just needed to pull my head out. My simple mind can even make sense out of it now. 🙂 Thanks. Yay! Another Quality Airspy product. If its close to it’s predecessor’s performance and quality then it should be fantastic.